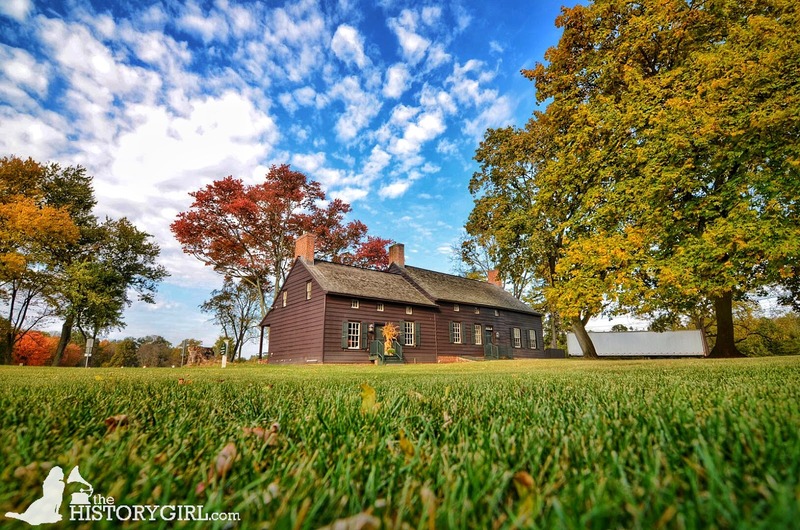 16th Annual Colonial Christmas Features Holiday Shopping, Santa Visits, Pony Rides, and Festive Activities for all Ages ~ The History Girl! 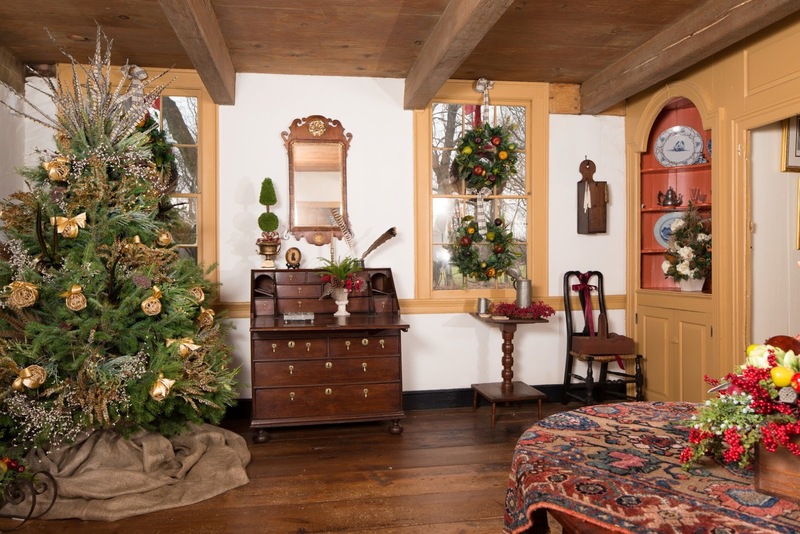 The Friends of the Jacobus Vanderveer House invite visitors of all ages to experience Christmas past and present when the circa 1772 Dutch Colonial museum opens its wreath-clad doors for the 16th Annual Colonial Christmas, Saturday and Sunday, November 24 - 25 and Saturday and Sunday, December 1 - 2. Hours are from 10:00 am - 4:00 pm daily. $10 admission per adult. $5 children 6-12. Free to Museum members and children 5 and under. The museum is located at 3055 River Road, River Road Park, Bedminster, NJ. A tree lighting, sponsored by Investor’s Bank, will kick off this year’s two weekend-long event on Friday, November 23 at 7:00 pm. The tree lighting is free to the community and features caroling with the Harmonium Choral Society, hot pretzels and hot chocolate (courtesy of Starbucks, Bedminster). “Whether you come to shop, get decorating tips for the holidays, listen to musical performances, visit Santa, make a gingerbread house with your child, or learn more about Dutch Colonial life during the American Revolution, there’s something for everyone at Colonial Christmas,” added Sutherland. 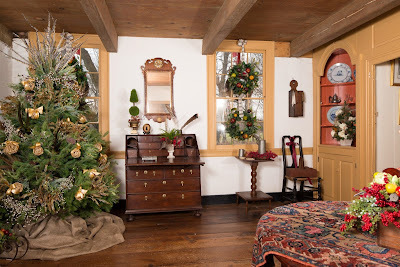 For a complete schedule of Colonial Christmas activities, visit www.jvanderveerhouse.org or call 908-396-6053. For more than two centuries, the Jacobus Vanderveer House, located in River Road Park, has been at the center of Bedminster Township’s rich and colorful history. It is situated on part of the 218 acres that make up River Road Park in Bedminster Township, Somerset County. Jacobus Vanderveer, Jr., son of Vanderveer, Sr., a wealthy Dutch miller, built a small Dutch frame-style farmhouse just west of the North Branch of the Raritan River on the northern outskirts of Pluckemin. In 1778, during the War of Independence, Vanderveer lent his home to General Henry Knox, who was to command a new artillery encampment and training academy being established by the Continental Army on a hillside above the village of Pluckemin. General Knox, along with his wife Lucy and family, occupied the house from the winter of 1778 through the summer of 1779. The Vanderveer house is the only surviving building associated with the Pluckemin encampment, which is considered to be the first installation in America to train officers in engineering and artillery. General Knox established “The Academy” and subsequently created its successor, The United States Military Academy at West Point, New York. The Jacobus Vanderveer House and property were purchased by Bedminster Township in 1989 with the help of Green Acres funding. The house was listed in 1995 on the National and New Jersey Registers of Historic Places. The Friends of the Jacobus Vanderveer House is a nonprofit organization formed to restore and develop the historic site as an important educational and cultural resource. During the past decade, the Friends have restored the house, created historically accurate period room exhibitions, established historic collections, supported important research, and embarked on a program of education and interpretation to tell the stories of General Henry Knox, the Pluckemin military encampment and the community’s key role in the American Revolution.